This station was built in 1887 on the Cavan and Leitrim narrow gauge Railway line which connected the Great Northern Railway line at Belturbet with the Dublin Sligo line at Dromod. The line closed in 1959 and the station was rebuilt as a community centre in 2000. 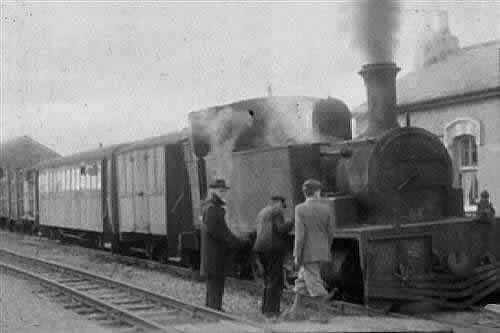 Templeport Railway station in 1959 just before the line closed.